A tee shot over the fairway bunkers on the right is ideal. 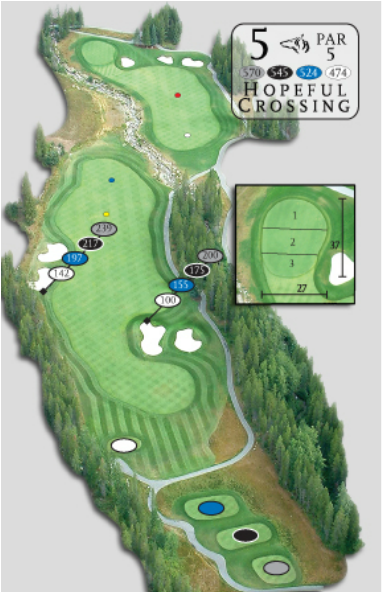 A conservative second shot over Hopeful Creek should be aimed left of the 150 yard marker. Going for it in two requires less club and bravery.